Rosemary is a qualified practicing physiotherapist (University of Sydney) and is currently working with SSA (Industry Skills Council for Fitness) as the Rightway fitness industry advisor. Her qualifications include a Diploma of Media Studies (Health & Fitness Writing) and qualifications in Editing and Proofreading. She is a freelance writer contributing to industry journals in the UK and Australia. Her previous roles include working as an assessor and SME for Open Colleges and developing their Certificate III in Fitness (2012-2013) as well preparing online learning tools for Certificate IV in Fitness competency units for TAFE NSW (2012). 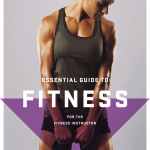 Rosemary is the author of The Specialized Exercise Trainer © 2013, a PAVE title addressing the requirements of the Diploma in Fitness. This book & website was the winner of the Best TAFE and Vocational Education and Learning Resource award from the APA in 2013. Detailed mapping of content to units of competency, elements and performance criteria from the current SIS Sport, Fitness and Recreation Training Package. Speak with your Learning Consultant for purchasing options. Artwork files includes digital files of graphs, tables, pictures and flow charts from the text that can be used in a variety of media. Add them into your course management system, use them in student handouts, or include them in your lecture presentations.